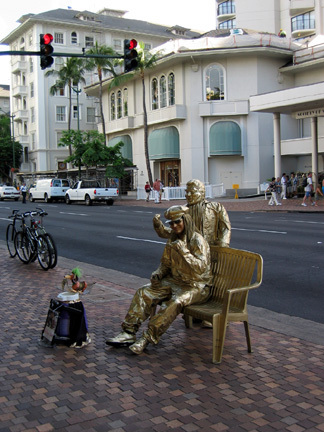 Kalakaua Ave is the main street through Waikiki. Street performers, psychics, and musicians lined the street. You could get your picture taken holding one or more parrots.